I love every single one of May’s seasonal fruit and vegetables, despite being a late convert to the wonders of sprouts. 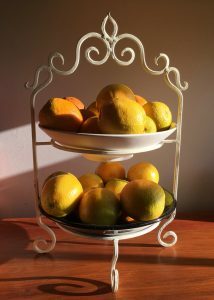 The recipe archive is packed full of ways to cook these seasonal goodies, if you need more ideas. Apples, Asian greens, broccoli, brussels sprouts, cabbages, carrots, cauliflower, celery, custard apples, fennel, ginger, kiwifruit, leeks, lemons, mandarins, oranges, parsnips, pears, rhubarb, silverbeet, spinach and sweet potatoes. 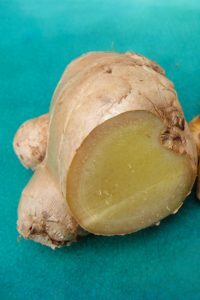 May highlight: what to cook with ginger? This zingy version of chilli beans also makes the most of seasonal vegetables like parsnips and carrots. One of the easiest ways to cook fish is steamed Asian-style with herbs. When you need a hug in a bowl, it’s hard to go past a pot of healing soup. Orange and ginger quinoa is a versatile dish. Good for breakfast or dessert.